Although there’s a lot of talk about cities that are sustainable, green and built for people, you’ve probably never heard much about the city of Curitiba, the capital of the Parana province in Brazil and the eighth most populous city in the country. 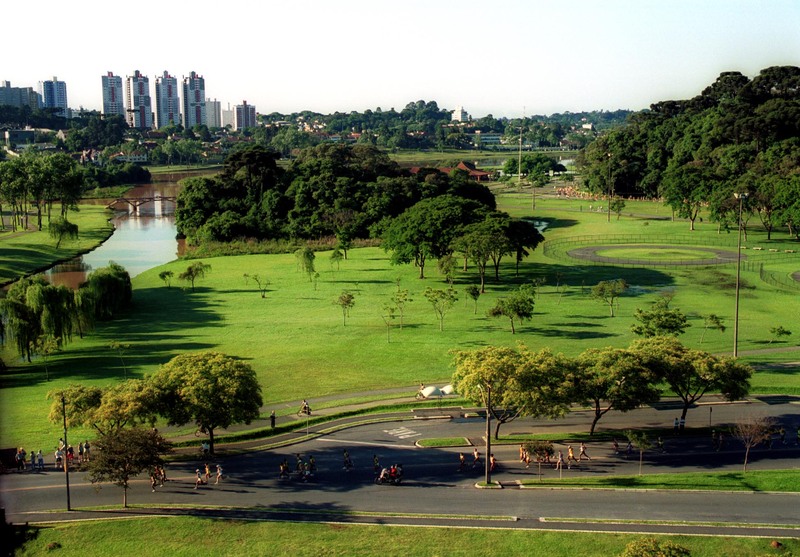 Curitiba may not be in the news as much as other cities because for them, sustainability is old news: the most important changes that transformed it from a small, agricultural community into a flourishing city happened four decades ago. In 1971, architect Jaime Lerner was elected mayor for his first out of three terms, and came up with innovative and creative solutions which made Curitiba go through an incredible evolution. It’s one of the greenest cities on the planet, with over 50 square meters of green space per capita – much more than the UN recommends, and remarkable considering that its population has tripled in the last 20 years. The reason why there is so much green space is that Lerner had to find a solution for the frequent flooding that was taking place due to the geographical position of the city. Instead of spending a huge amount of money on engineered solutions for diverting waterways or other similar solutions, Lerner decided to simply create an enormous green belt around the city, which has turned into a great habitat for numerous plants and animals. What’s also interesting is that this expansive green area is maintained by sheep and goats – and the wool they produce is sold to finance social development in the city. 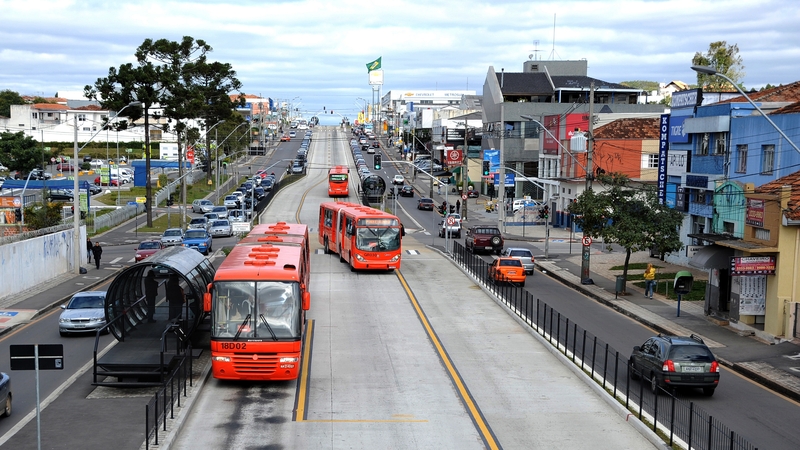 Lerner also introduced a transit system in Curitiba that most cities still can’t compete with. Around 60% of people rely on the bus network in the city, which is similar in efficiency to a light-rail system with dedicated lanes, and with buses that are separated by type – direct, fast, few stops and alimentadores, which reach the far neighborhoods. There are three main transit arteries in the city, one to enter Curitiba, one to leave it, and one for public transport. Lerner has said that he doesn’t want to get rid of cars, but at the same time he doesn’t want to let them rule the lives of Curitiba’s citizens – that is one of the reasons why, while he was mayor, he turned one of the largest central streets, Rua das Flores, into the world’s first pedestrian street. His measures did manage to convince more than half of the population to give up their personal vehicles over the years, and to help with this process 150 miles of bike paths were also created. The residents of Curitiba are heavily involved in good waste management practices and they are continuously encouraged by the administration to recycle their waste. This is done in many different ways, such as installing funny-looking bins that remind them of their responsibility, creating social programmes financed through the process of waste management, reward schemes for children and adults who recycle and receive school supplies, bus passes and show tickets, as well as promoting the principles of reusing and recycling by turning old buses, for example, into mobile classrooms or reading rooms. The city of Curitiba is an amazing example of what bold, creative leadership can do to make a city really serve its population instead of creating stress, congestion and inequality among its residents. It is hard to believe that so many cities in the world today are unable to find solutions for better mobility, sustainability and general quality of life, since Curitiba figured many of these things out so long ago.